The letter was published for the first time in Italian in March, as part of a new book by Fr. Paweł Stanisław Gałuszka, titled Karol Wojtyła and Humanae Vitae. 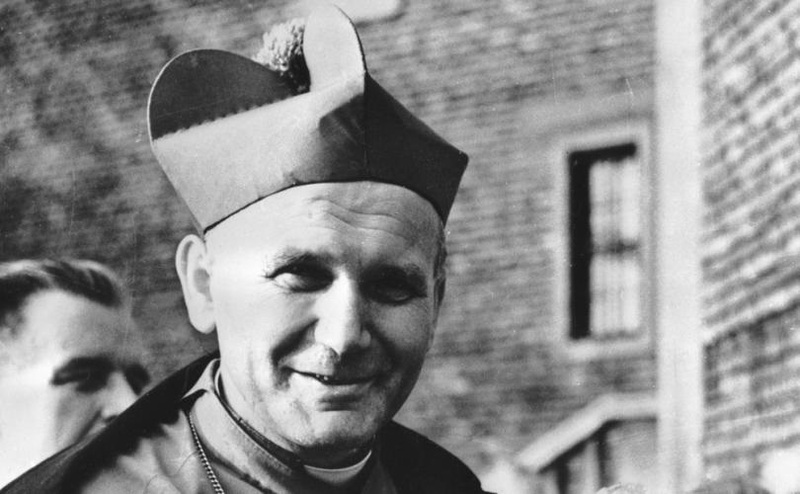 The book examines the contribution that Karol Wojtyła and the Polish bishops made to the editing and reception of Humanae Vitae when Wojtyła was Archbishop of Krakow. The book contains several never-before-published documents, including the letter Cardinal Wojtyła sent to Paul VI in 1969, after numerous episcopates voiced their opposition to Humanae Vitae. It was launched at the Lateran University in Rome, with key Vatican figures in attendance. Msgr. Melina, a highly regarded moral theologian and successor to now-deceased Cardinal Carlo Caffarra as president of the John Paul II Institute, wrote the preface to Gałuszka’s book. First, that moral law and therefore also the norm of Humanae vitae [the ban on contraception] is the expression of a truth about good and not the arbitrary imposition of a legislator, so that the Church herself has no power to change it (against nominalistic legalism); second, that Humanae Vitae is an infallible and irrevocable teaching, by universal ordinary Magisterium, even if not by a solemn defining act (ex cathedra)”; and third, that Humanae Vitae is not a matter of advice, entrusted to the interpretation of conscience, but of a binding doctrinal teaching. Today’s publication in English of Cardinal Wojtyła’s 1969 letter to Paul VI comes as new facts emerge about the origins of Humanae Vitae. The recent findings, contained in a new book, The birth of an Encyclical. Humanae Vitae in the light of the Vatican Archives, are based on a “secret” Vatican commission’s investigation of archived documents relating to the preparatory work of the encyclical. Its author, Monsignor Gilfredo Marengo, is a member of the commission appointed by Pope Francis. The Italian moral theologian said there are “three important facts” that Marengo has reported but to which he does not attribute sufficient significance. First, that Paul VI sent the initial draft of what eventually became Humanae vitae (a draft called De nascendae prolis) to only two prelates: one was Cardinal Felici and the other, Cardinal Wojtyła (Marengo, 99-ff). Secondly, that in the documentation sent to Paul VI, as a dossier for final editing, in addition to the contribution of Cardinal Wojtyla there was also the Krakow memorandum (Merengo, 101), to which Wojtyła refers in his letter. “These three essential facts,” reported by Marengo, “contradict his interpretation that Wojtyła had little influence on the preparation of the encyclical,” Melina said. Today, on this 50th anniversary of Humanae vitae, here below we publish in full, for the first time in English, Cardinal Wojtyła’s letter to Pope Paul VI. Editor's note: A PDF of the letter is available here. Please be sure to credit LifeSiteNews and Diane Montagna for the translation. With this letter, I again wish to thank Your Holiness for the encyclical Humanae vitae, whose promulgation in July 1968 concluded a period dedicated to the in-depth study of the theme of the transmission of life in marriage, in light of the principles of Christian morality. During this period, the Church, according to the instructions expressed by her Supreme Master and Shepherd, has been careful not to question this ethical principle, and has continued to proclaim it in this matter. She has also endeavored to gain a deeper understanding of its meaning, raison d'être and possibilities of application in the face of the current state of human science, particularly in the fields of contemporary physiology, psychology and demography. The moral doctrine of the encyclical Humanae vitae was accepted, after its publication, by all the Christian faithful and especially by the Catholic episcopate with great conviction and profound gratitude. Yet, in some areas, the formulation of a clear doctrine in this very important area of human morality has come up against already existing doubts about the principle itself, as well as some different practices present in conjugal life and in pastoral life. There are theologians, including some often quoted by the Church, who still today make themselves the spokesmen of these doubts. Advertising and the means of social communication amplify their circulation and sow confusion in pastoral ministry. Such disorientation creeps in both among the laity — particularly in some circles — and among the priests who are pastors of souls and confessors, despite clear statements by the Holy See and local bishops on this matter. The confusion regards not only the correct discernment of the moral norms contained in the encyclical Humanae vitae and of their binding character, but also the whole of the Christian life. In fact, challenging the moral doctrine of the Church in a field as important as that dealt with by the encyclical can be an occasion that gives rise to a much broader process of challenging other elements of the Christian faith and practices. Therefore, even in societies where faith and moral conscience are such that the Holy Father’s directives are willingly accepted, great difficulties arise due to interpretations of the encyclical Humanae vitae that differ from those of the Pope. Thanks to means of social communication, people from every corner of the world receive information immediately. In particular, statements of some episcopates are used, which are considered different from the teaching of the encyclical, especially with regard to practical solutions. In this situation, it seems to be absolutely necessary that the Holy See contemplate a series of provisions aimed at helping priests and the laity to resolve these difficulties. One could consider drafting a very detailed instruction to priests engaged in ministry — especially confessors, catechists and preachers. This instruction, moreover, should contain very precise positions regarding several theological formulations, especially theological-moral ones, whose tenor is in clear disagreement with the teaching of Christ transmitted by the Church. In doing so, one could clarify the Church’s position with respect to certain theological opinions, whose authors — and their followers — believe that the absence of such a clarification confirms their theses. In particular, it would be necessary to clarify the issue of the obligation and infallibility of the ordinary magisterium of the Popes, and to point out the dependence of the Catholic theologian on the authority of the magisterium of the Church. In this context, I would like to enclose with this letter several more detailed proposals aimed at giving structure to the content of the Pastoral Instruction in question. These proposals were drawn up by the group of theologians and priests in Krakow who, before the publication of the encyclical Humanae vitae, had already prepared a long memorandum on the problems the encyclical would have to address. I sent this memorandum to the Holy See in February 1968. At present, the same group of theologians and priests — including one of the auxiliary bishops of Krakow — has prepared the proposals that I am submitting to Your Holiness. These proposals represent only a general schema. They do not constitute the actual text of the instruction, but indicate the issues that, in our humble opinion, should be addressed. The first part of the instruction should contain the statements of Bishops and Episcopates published on the occasion of the encyclical Humanae vitae. This is an immense amount of material, so we need to find the best way to publish it, if we do so in the Instruction in question. Publishing the episcopal statements along with the proposed instruction would show the close link between the teaching of the Holy Father in the encyclical and the teaching of the college of Bishops, which is the same. After the Second Vatican Council, proof of collegiality has acquired unprecedented positive value. 6. Luxembourg, Bischofswort zum Familiensonntag über die Enzyklika “Humanae vitae” dated 6/1/1969. In principle, these statements accept the authority of the teaching power of the Pope as well as the entire content of his encyclical. At the same time, however, they seek to take into account the reactions of the laity and priests, that the demands of Christian morality formulated in the encyclical Humanae vitae are “concerning.” This attitude certainly comes from an authentically pastoral anxiety. It is also the manifestation of a psychology of dialogue, which makes us attentive to the thoughts and objections of our interlocutors and urges us to follow them to the limit of what is possible. On the other hand, the situation in recent years, in which the pastoral practice of some regions considered contraception morally acceptable, undoubtedly exerts its influence. We therefore understand the origin of the “concern” or even “surprise” caused by the demands of conjugal morality recalled in the encyclical Humanae vitae. The authors of the aforementioned statements have made themselves the spokesmen for this concern. The reason for these statements is to be found, in most cases, in the concern deriving from the comparison between the moral conscience of the laity and priests and the real demands of Christian morality dealt with in the encyclical. One can observe that the Authors of these documents intend, on the one hand, to maintain the submission of the faithful to the teaching of the Pope, and on the other, to safeguard at all costs the union of the faithful with the Church, seeking to understand their situation and to apply the principles of Christian morality in such a way as to soothe their consciences without, however, having to change the behavior maintained up to now. The instruction we are proposing cannot, of course, keep silent about the difficulties of the problem. In this regard, the statements of the episcopates cited are a help, as they will allow the Instruction to examine in detail the very heart of these difficulties, whether doctrinal, pastoral or simply moral, although one should not concern oneself only with the difficulties or give them first place: the magisterial character of the encyclical Humanae vitae and of the teaching of the Pope undoubtedly indicate this path. (We wish to emphasize the importance not only of extraordinary teaching but also of the ordinary teaching of the Popes). On the other hand, the reaction of “surprise” and “concern” triggered by the appeal to principles of conjugal morality in the encyclical is far from being the general one. It was, in fact, the reaction only in some circles. Probably, it was able to conceal from the eyes of these Episcopates the reaction of other circles, other groups of laity and priests. These were precisely the groups and circles that welcomed Paul VI’s encyclical as the logical expression of Gospel morality, which is naturally very demanding, but which, at the same time, is authentically Christian and authentically human. Many groups have expressed their deep gratitude to the Pope for the teaching contained in the encyclical Humanae vitae. In these circumstances, we wish to reiterate forcefully that the moral law is founded not on the approval or disapproval of men, groups or human circles, but rather on the objective nature of moral good and evil. In the light of this conviction, we are now making the following proposals. The second part of the instruction should contain the doctrine of the Second Vatican Council which, following the First Vatican Council, once again defines the principles of infallibility. It would be necessary simply to cite the Constitution Lumen gentiumIII 25, which states that “This religious submission of mind and will must be shown in a special way to the authentic magisterium of the Roman Pontiff, even when he is not speaking ex cathedra; that is, it must be shown in such a way that his supreme magisterium is acknowledged with reverence, the judgments made by him are sincerely adhered to, according to his manifest mind and will. His mind and will in the matter may be known either from the character of the documents, from his frequent repetition of the same doctrine, or from his manner of speaking.” There is also another reason that urges us to take up these texts of Vatican II: the statements of the episcopates in question also refer to this principle (and to the same texts), declaring that they adhere to the encyclical Humanae vitae in a spirit of faith, as it is due to the teaching of the Pope. The encyclical Humanae vitae is not a solemn document of ex cathedra teaching; therefore it does not contain any dogmatic definition. However, since it is a document of the ordinary teaching of the Pope, it has an infallible and irrevocable character. Such a character, in fact, is specifically inherent not only to ex cathedradogmatic definitions, but also to the acts of the ordinary teaching of the Church (see the quoted passage from Lumen gentium, III 25). As for the encyclical Humanae vitae, its content does not give rise to any doubts about the matter. The Holy Father affirms that the Church’s teaching on the regulation of births does nothing but “promulgate divine law” (Humanae vitae, n. 20). Addressing himself to spouses, the Pope speaks in the name of the Church, which proclaims “the imprescriptible demands of divine law” (HV, n. 25). While inviting priests and moral theologians to adhere unanimously in a spirit of faith to the teaching of the Popes regarding the ethics of married life, the Pontiff affirms that it is a matter of the “saving doctrine of Christ.” (HV, 29). Moreover, he also speaks of the laws inscribed by God in human nature, so as to ensure that spouses conform “what they do to the will of God the Creator. The very nature of marriage and its use makes His will clear, while the constant teaching of the Church spells it out.” An act of mutual love carried out at the expense of the power to transmit life “contradicts both the divine plan, which constitutes the norm of marriage, and the will of the Author of human life [...] and [...] is in opposition to the plan of God and His holy will.” Since he speaks in the name of the Church, the Pope is aware that he is “proclaiming humbly but firmly the entire moral law, both natural and evangelical. Since the Church did not make either of these laws, she cannot be their arbiter—only their guardian and interpreter. It could never be right for her to declare lawful what is in fact unlawful […].” This moral law applied to marriage is imprescriptible. These statements, which present the Pope’s intention in a very clear and incisive way, show that it is impossible to think that the conjugal morality contained in the encyclical Humanae vitae could be revoked, i.e. considered fallible. One cannot even think of accepting the opinion of those who see in the encyclical Humanae vitae only pastoral advice and directives — which would correspond to the educational role of the Church — and even less the opinion of those who want to see in the encyclical only an invitation to open up a debate on the issue of marital life and ethics (the encyclical would open a dialogue in which participants would be, in the name of collegiality, the bishops and the Pope). These views are at odds with the clear and distinctive character of the document. Moreover, they are also harmful, since they imply that because of the revocable and therefore fallible character of the encyclical Humanae vitae, everyone could, depending on the circumstances, form a different opinion, which would be for him the norm of his own actions. It cannot be tolerated that, after the encyclical Humanae vitae, there is a state of uncertainty; in particular, it is not acceptable to affirm that this state of uncertainty is reinforced by the attitude of the Pope himself, since an impartial analysis of the text of Humanae vitaedemonstrates the exact opposite. In light of this analysis of the content of the encyclical Humanae vitae, we need to look more deeply at the opinions of those theologians who, in the teaching of the encyclical on conjugal morality — especially on the inadmissibility of contraception — see a revocable and, consequently, fallible teaching. In the eyes of these theologians, only solemn teaching ex cathedra is infallible and irrevocable. The result is such a restriction of the magisterium in the sphere of moral problems as to make it irrelevant, given that extraordinary teaching (ex cathedra) in this type of issue has been used only in very rare cases. It should be noted that these theologians, in their opinions, restrict the competence of the Church’s magisterium in moral questions since they believe that, in the field of morality, judgements are by their very nature unstable and depend on the historically changeable character of human nature itself. They are convinced, moreover, that within the ambit of natural law, the Church’s magisterium cannot issue coercive and definitive decisions, since it is a merely rational sphere of knowledge of man and the condition of his life. They have also called into question the competence of the Church’s magisterium as it would not have been able to see the link between particular norms of Catholic moral doctrine and Revelation. They have therefore challenged certain moral principles taught by the magisterium, justifying this attitude by the fact that these principles are not explicitly found in Sacred Scripture. It would be useful to recall here the general principles enshrined in the First Synod of Bishops of 1967, which define the tasks of theologians in the Church and, in particular, their attitude towards the Magisterium and pastoral ministry. The third part should deal with conscience and its relationship to the moral law. Conscience is the decisive and binding norm of human activity: it is binding, since man must act according to his own conscience, and it is decisive, since it constitutes the ultimate and direct element that guides human action. Nevertheless, while fully accepting the normative character of conscience, one cannot see in it the one and only norm, let alone a norm superior to the moral law. Attributing to conscience an autonomy that would give it not only a normative but also a legislative role, would be contrary to the foundations of both natural and revealed ethics. Such autonomy would be tantamount to accepting subjectivism and relativism in morality. Now, subjectivism and relativism are in contradiction with true morality, especially with Christian morality, simply because these amount to the denial of objective moral good and evil and, consequently, of the specific function of conscience. It is, in fact, up to conscience to determine good and evil and to discern it according to the objective moral law. The whole doctrinal tradition of the Church recognizes that the objective moral law is found in Revelation. It also recognizes that Revelation (particularly the Letter to the Romans, 2) affirms the existence of the natural moral law. This affirmation is of great importance for faith and theology, regardless of the different philosophical conceptions of natural law. When the Church, in her teaching of morals, refers to the natural law, she does not allude to any of these philosophical conceptions, but sees the natural law as an object of faith and theology. She regards it to be the foundation of the morality which, in turn, has been explicitly revealed. The specific norms of the moral law are accessible to human reason, which recognizes and accepts them as the foundation of morality. The Church considers herself to be the guardian and teacher of these norms, for, although they were not the object of a special revelation, Revelation nevertheless confirms their existence and their binding force. The essence of the Church’s teaching on natural law consists in emphasizing that there is an objective moral order, which derives from the nature of man, a universal and immutable order, guaranteed by the Supreme Legislator and, consequently, independent of the State and its power. Together with revealed law, this moral order represents the constitutive whole of morality. It falls within the competence of the Church: in fact, its observance is a condition for salvation. This is precisely why Paul VI defines the teaching of the encyclical Humanae vitae as the expression of objective moral truth that no one, not even the Church, can change. The efforts of theologians to provide a new interpretation, or a better (more modern) expression of the issue of natural law, cannot be carried out at the expense of its basic principles, which are founded on Scripture, Tradition and the Magisterium. Thanks to these sources, we know with the same certainty conscience derives its normative force — which is binding and decisive — from objective morality. This law is divine. And if it were human, it would be rooted in a divine law or formally revealed, or contained in natural law. It is precisely this law that Paul VI recalls and explains in the encyclical Humanae Vitae. That said, one cannot consider as morally good the attitude of a Catholic who, fully aware of the moral doctrine of the Church, acts according to the subjective judgment of his own conscience and opposes the norms he well knows. This is the focal point on which the statements of some episcopates fix all their attention, as they try to show maximum indulgence towards the various processes of consciousness in this difficult and painful field of human morals. However, the possibility of profoundly erroneous states of consciousness cannot be excluded. A distinction must be made between the acceptance of the possibility of such a state of conscience and the acceptance of the subjective right of a Catholic to create such a state, or to form a specific judgment about conscience that would be in disagreement with the objective moral law, invariably taught in the Church through the voice of the Supreme Magisterium. The encyclical Humanae vitae highlights precisely what, in the field of the transmission of life, is a stable law of morality taught by the Church. It concerns responsible parenthood and the ban on contraception. All the circumstances that enable science, culture and technology to develop today allow us to understand anew what is immutable in the divine moral law, without this immutable [law] being changed. Consequently, we must also remember the principles that moral theology uses to describe the way in which a sure and upright conscience is formed. It is achieved by knowing the moral value of an act. Conscience, as such, demands that one refrain from performing an act if, a correct discernment of its moral value has not previously been made. This moral obligation also allows us to clarify the scope and direction of the duties of priests and confessors in this area. They have a duty to teach the moral law in order to make it possible to formulate true judgments of conscience. The formation of consciences is one of the fundamental tasks of the priestly ministry. The fourth part of the Instruction that we propose should, following the encyclical Humanae vitae, set out the doctrine on marriage, particularly some of its aspects, in order to present a correct and clear perspective on the theme of marital love. This is certainly the crucial ethical issue that plays a fundamental role in the formation of consciences. Following the constitution Gaudium et Spes and the encyclical Humanae vitae, it is necessary to remember the religious character of every marriage contract. It is a union of divine institution which occupies a very precise place in God’s creative and saving plan. It is necessary to insist on the fact that marriage is a vocation, that is, a mission that the persons in question receive directly from God. These are the fundamental aspects of a theology of marriage, which introduce it into the sphere of faith and the vital relationship between man and God. We must also put the fundamental elements of married life in order. Marriage, indeed, is a community of persons based on love. Yet we cannot conceive of this community of love in this way, if procreation and the educational mission that follows from it are treated in a secondary way. From this point of view, the teaching of the encyclical Humanae vitae on conjugal love leaves no room for doubt. Spouses are called to participate, through their eternal and fruitful love in God’s creative and saving plan. The Author of the encyclical intended to address all marital communities, expanding this perspective beyond Christian marriage. It is useful to look at the value of sexual relations — without forgetting their moral value — from the point of view of the dignity of persons, by considering that one is dealing with a real interpersonal relationship that is realized in them, and by underlining the duties that come from this type of relations. This is precisely the reason why one cannot pass over in silence the aspect of fecundity, which is inherent to sexual relations and closely linked to their interpersonal relational character. In a certain way, the aspect of fecundity opens interpersonal relations between man and woman to a participation in the creative work of God, according to His eternal designs. Similarly, we must insist on conjugal harmony, which is of great importance as proof of love and of the community of persons. However, it cannot be presented as if it were, as such, a moral good and a fundamental and directing modality of responding to God’s call in marriage, regardless of the way in which it is understood, and of the means that, in the opinion of many, ought to lead to it. Moreover, it often happens that this harmony is conceived in such a way that only the sexual union of the spouses constitutes its source, as if there were no other possibility for the love of the spouses to be expressed and grow, except through sexual acts. From this perspective, sexual continence would be a danger to conjugal love and its harmony. However, we can easily observe that at the basis of these opinions lies an inaccurate vision of man, which is clearly alien to the Gospel, and to the Christian tradition and experience in this regard. What, in reality, actually threatens the marriage community is certainly not a mature and conscious continence (for example, periodic continence), but rather the absence of psycho-sexual and moral maturity, which makes this continence impossible. This lack of maturity means that spouses do not see continence as an expression of love for their spouse (especially in certain circumstances) and as a renunciation and a sacrifice, which is a condition sine qua non of love, of its endurance and its growth. It is therefore up to the master of morals and teacher, who is the Church — and, in the Church, the supreme authority of the Pope — to grasp and highlight the boundaries that, in the sphere of sexual values, make one pass from the act worthily lived, to use and abuse. This is precisely the danger that threatens the values themselves, which — given the close bond between sexuality and the human person — hold a special subtlety and need an authentic sublimation. In any case, the opinion that contraception is indispensable for the stability and the love of the spouses is a crude opinion, and is irreconcilable with a Christian vision of man. This vision accords more weight to the value of man and the essential values of his body and sexuality than to its possibilities in this area. This vision of man and the certainties that derive from it, as far as the real scale of his value and his possibilities is concerned, is — as the text of the encyclical Humanae vitae clearly shows — the foundation of the cardinal norms of conjugal morality taught by the Church (and more broadly of sexual morality). A moral norm, in fact, like any other law, can impose only those duties whose fulfillment is possible for the man to whom the norm is addressed. In this case, it is a rule of divine law: this means that the legislator possesses not only a particular knowledge of good and evil, but also a very profound knowledge of the man whom he subjects to this rule. The Supreme Lawmaker knows man’s possibilities in this matter. Yet this does not in any way mean that the rule of divine law, recalled (and once again clarified) by the encyclical Humanae vitae, can be fulfilled without difficulty, without suffering and without adequate effort. This suffering, which preludes the fulfillment of the divine law, is — we see it above all in the light of the Gospel — an inseparable part of the Christian life. In the same spirit (that is, in the light of the Gospel) it is she who bears witness to love and who helps to strengthen it. Opposed to these premises, which are essential premises of Christian faith and morality, is the principle according to which what is difficult and painful cannot constitute a moral duty and cannot bind in conscience. Starting from this principle, it is maintained that the obligation to preserve conjugal unity and harmony does not include the control of conjugal life and periodic continence. Supporters of these opinions perceive and highlight in the Church’s teaching as recalled by the encyclical Humanae vitae, a case which they define as a “conflict of duties.” In their opinion, there is a conflict between the demands of responsible parenthood which requires, in certain circumstances, that spouses refrain from marital relations, and the duty to maintain conjugal harmony through the practice of such relations. Furthermore, they are convinced that this second duty is linked to a more important and more fundamental marital good. While it cannot be denied that the maintenance of the marriage bond and unity is a fundamental good for any marital community, it is equally true that it cannot be accepted — for the reasons mentioned above — that this unity and this bond be established by virtue of the mere fact of not controlling the marital relations between the spouses, to whom an unlimited freedom should be given. We have described the reason why such an opinion is false and unacceptable from the Christian perspective of man, his value and his possibilities. Therefore, the suggested “conflict of duties” is only an apparent conflict. Essentially, we are faced with elementary psychological difficulties and tension between, on the one hand, weaknesses or temptation and, on the other, the demands of divine law. This tension cannot be called a “conflict of duties,” since what characterizes it is the awareness of the effort that accompanies the fulfillment of the duty. Any misinterpretation of the facts in the moral sphere or any confusion of level must scrupulously be avoided. It is necessary, in fact, to distinguish the true conflict of moral duties from the psychological effort linked to the observance of the established moral order or its fulfillment. The quality of values, in this field, should serve as a basis for measuring, i.e. determining, the severity of transgressions. A correct measure — neither too low nor too high— is an indispensable coefficient for the whole doctrine of conjugal love, as well as the basis for a true formation of consciences in this area. The fifth part of the proposed Instruction (and certainly the last one) should be dedicated to the analysis of the sacramental aspect of the issue. First of all, it is a question of clearly defining the meaning of the sacrament of marriage. It is not enough to observe, in general terms, that this sacrament establishes a certain bond with Jesus Christ and, by virtue of this, imposes on the spouses the duty of mutual fidelity. It is also necessary — as the encyclical Humanae vitae and the Constitution Gaudium et Spes do — to show that marriage is a sacrament which, by its very vocation, is at the origin of the integral response to God’s creative and saving plan. The Sacrament of Marriage makes it possible to give this response and, at the same time, makes it possible for this response to be given in the context of the morality mentioned above — morality that makes conjugal love understood and fulfilled according to the established order. In the life of the Church and in the life of every Christian, the sacrament of marriage forms the basis of the values of which we have just spoken, as well as the possibility of fulfilling them according to a truly evangelical plan. This means that the spouses must make the effort we have described above, whose texture is made up of the fundamental set of duties imposed by the lay apostolate. Of course, this also requires a proportional effort on the part of priests involved in ministry, that takes the form of the regular administration of the sacraments of Penance and the Eucharist. The Holy Father therefore sets forth this effort in the encyclical Humanae vitae. While inviting the spouses to have recourse to the Sacrament of Penance, he draws their attention to the need to make an equivalent moral effort, which consists in overcoming their weaknesses and getting up again after falls and false steps. The Pope’s teaching associates the Sacrament of Penance with the practice of the virtue of penance, conversion and aversion to sin in the Sacrament of Penance. Paul VI insists very much on the penitential and, at the same time, medicinal character of the sacraments. To confessors, he advises indulgence and love towards penitents, while asking them to highlight well what constitutes sin, and to demand, consequently, its rejection. It goes without saying that indulgence and love for penitents also require that priests really make them aware of the ethical methods to be used for the regulation of births and that they facilitate their practice. On the other hand, this indulgence and love recommended by the Holy Father cannot be understood as an attitude which risks undermining the very value of conversion in the Sacrament of Penance, and the conditions necessary for receiving this sacrament correctly, or which risks calling into question the need to receive information about the Church’s authentic teaching on conjugal morality. While, therefore, it is absolutely right to demand that penitents be treated with all the respect due to the dignity of their person, contemplating the possibility of a progressive conversion, it is also necessary — not with regard to these postulates, but in order to carry them out — to speak without delay about the dispositions needed to correct one’s behavior, that is, to break with sin and with the occasions that inevitably lead to it. One of the particular conditions for this conversion to the tribunal of penance is full adherence to the ethical norms taught by the Church — and, subsequently, a willingness to make all necessary efforts to put these norms into practice — a willingness to continually renew one’s efforts, should fidelity to these moral norms not be crowned with success. Moreover, since it sometimes happens that penitents are in good faith, this principle of respect for their dignity cannot be applied indifferently, in the case of good faith or in the case of those who fail to accept certain aspects of the moral law contained in the encyclical Humanae vitae. In other words, the confessor cannot give free rein to these questions, but must examine, explain, advise, demand (or ensure that the penitent himself takes such measures). As for the penitent, he must be ready to ask forgiveness, to ask for advice and to take the required measures. In short, it is a matter of adopting exactly the attitude that the Gospel clearly presents before our eyes. Pastoral care cannot seek other solutions, and theology, especially moral theology, cannot lead to such deviations. However, moral theology and pastoral theology and, subsequently, pastoral ministry, can and must seek solutions that — while identifying with Gospel attitudes and deepening them — also draw nourishment from the riches of modern science and knowledge that are closely linked to the problems of responsible parenthood. The encyclical Humanae vitae reiterates this concept several times. Moral theology, as well as pastoral ministry, must be very sensitive to the line of demarcation that separates ethics from technology. After all, it is not technology but ethics that is able to solve human problems. As for the Eucharist, the apex par excellence of the Christian life, it is certainly a vital source of mutual love for the spouses. Therefore, in principle, it is reasonable not to alienate — especially lightly — spouses who have difficulty in carrying out the duties of responsible parenthood, although true anxieties of conscience should not be underestimated and one should not insist on proposing the Eucharist in cases where the conscience of the spouses leaves something to be desired. On the other hand, it is categorically prohibited to recommend Holy Communion without prior confession to spouses who use contraceptive means in the context of their marriage. In this case, the principle of St. Paul — probet autem seipsum homo [Let a man examine himself] (1 Cor. 11:28) — is absolutely required. To want to level out the limits between good and evil in favor of reception of the Eucharist is a very dangerous attitude, since it exposes the faithful to the danger of a fruitless, even sacrilegious, reception of the sacraments. The important thing is that the Eucharist be, in a moral sense, a source of authentic sanctification.